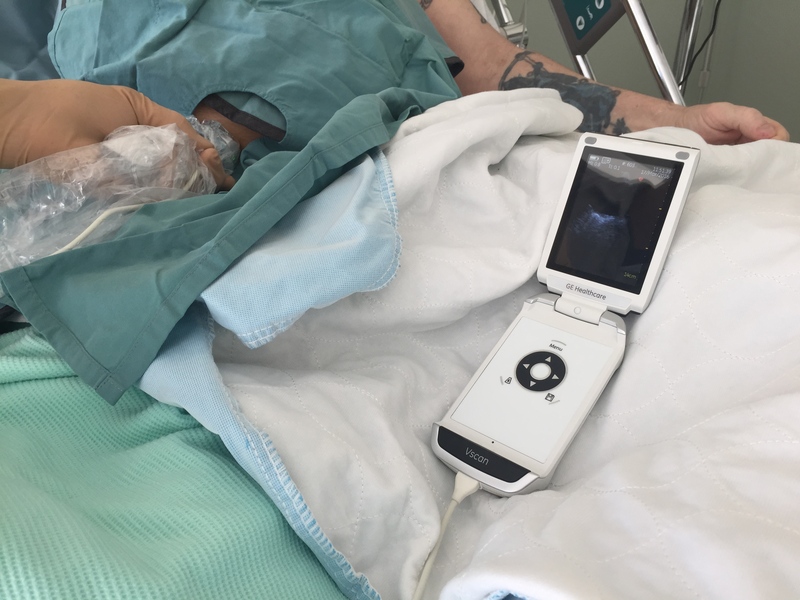 I recently had the chance to try out the gen 2 VScan, since my original one, which replaced my stethoscope 4 years ago, suffered from trauma and is currently in a GE operating room undergoing serious surgery. GE was kind enough to give me a replacement and have me give their next generation a go, so I thought it would be nice to give a little review for potential buyers. First of all let me put it in perspective. When GE approached me to try the original VScan in 2011, I thought it was a cool toy, but, as an avid sonographer who tended to favour potent devices as opposed to the smaller laptop-based ones, I didn’t expect to fall for the ‘limited’ VScan. They thought I might. Turned out we were both right. 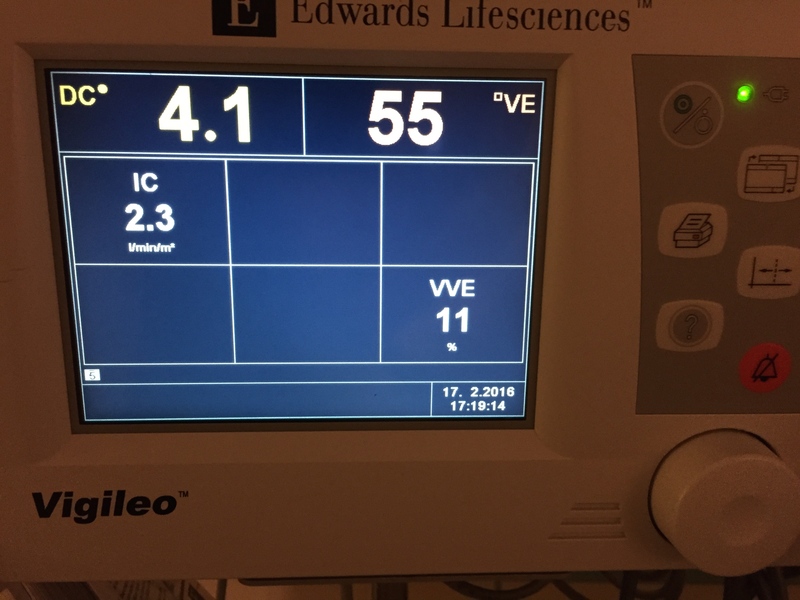 If I had one of Santa’s elves pushing my ICU’s Aloka Alpha 7 behind me, handing me a clean probe and following me around, plugging and unplugging the awesome but bulky device, I would have no need for a VScan. However, I have yet to hear back from the North Pole, and in its absence, the VScan has been an absolutely awesome and indispensable tool. I’m not joking. My stethoscope has joined my antique medical instruments collection (which includes some really cool ancient metallic tracheostomy tubes btw). I use one of this plastic disposable ones if I really, really want to listen for a wheeze (although I find the degree of expiratory phase prolongation to me a much more sensitive sign of outflow limitation…). I use the VScan every day, for almost every patient. 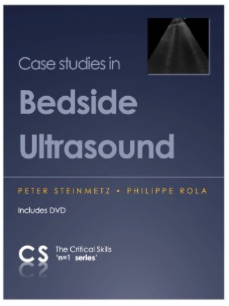 Bedside ultrasound is an integral part of the physical examination one follow up. It beats guessing. In my experience, it does the trick about 80% of the time. For more challenging patients, or for a more exhaustive examination, I push that Aloka myself. But when following up patients on the wards especially, having the VScan in my pocket is absolutely essential. Not having it is borderline unethical if I’m dealing with genuinely sick patients. So the new device has a dual probe with vascular and surface capabilities, which is pretty cool, especially if the physician using it has no other device, as vascular exam is really important for procedures and for lung ultrasound (the gen 1 VScan will see B lines but doesn’t have the resolution to look for lung sliding. 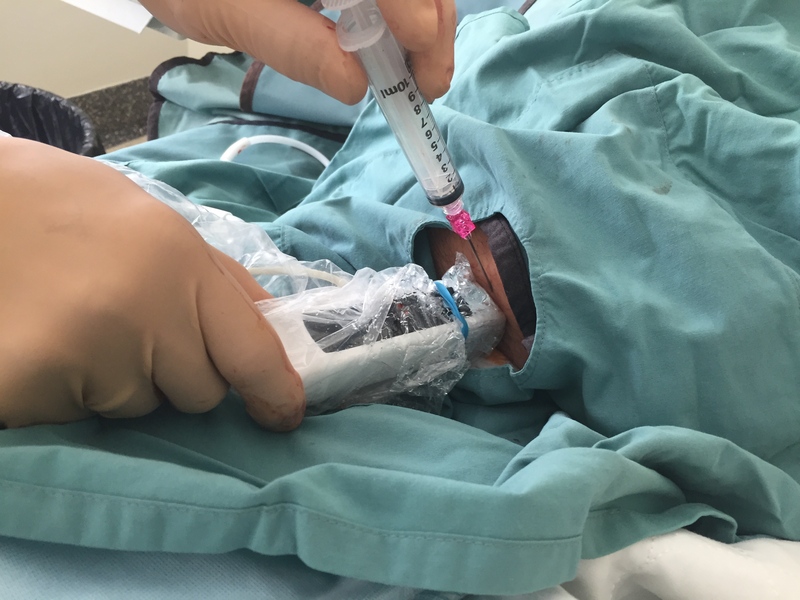 Here, I’m using the gen 2 on the wards with a sterile sleeve to drain an intra-abdominal hematoma. 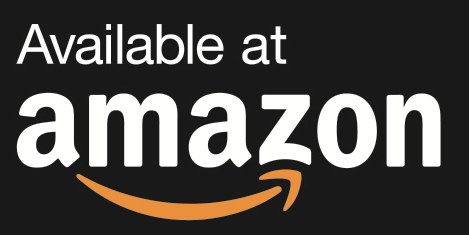 So is this a plug for the VScan? Not really. For bedside ultrasound? Absolutely. Every physician taking care of acutely ill patients should have some form of immediately available ultrasound. Anything else is short-changing your patient of the best care they can get. 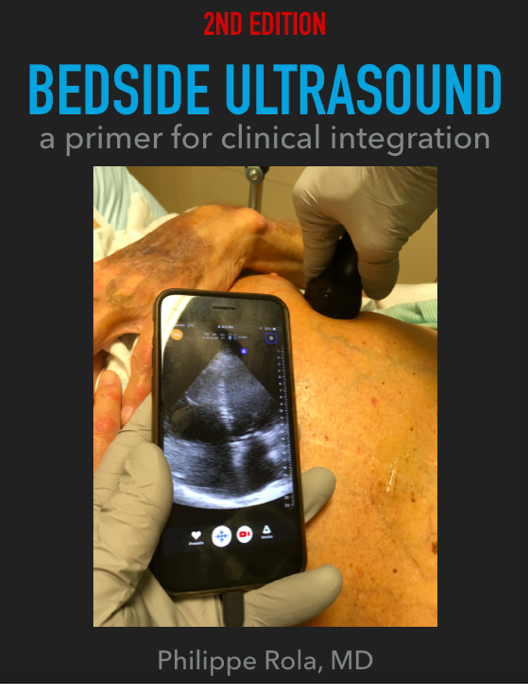 Keep in mind that you can still be a great clinician without bedside ultrasound. But you can be a better one with it. p.s. thanks to Mr. Pascal Langlois of GE for the gen 2 VScan loaner! So I’d mentioned using NIRS to monitor and tailor therapy a few months ago, and promised a more in-depth discussion to come, so here we go. For this not familiar with the technology or the concept, NIRS measures tissue saturation, predominantly venous. Hence physiologically it is akin to central/mixed venous gases, but localized. Cerebral NIRS found its foothold in the OR with carotid and cardiac surgery, but its use is now expanding. Given typical knowledge translation time of a decade, it should end up joining ETCO2 as a routine vital in monitored units, but probably not soon enough. Finding the “Sweet Spot” for vasopressors. Confirmation that therapeutic interventions are hemodynamically appropriate. Cardiac arrest: CPR adequacy, prognostication and detecting ROSC. 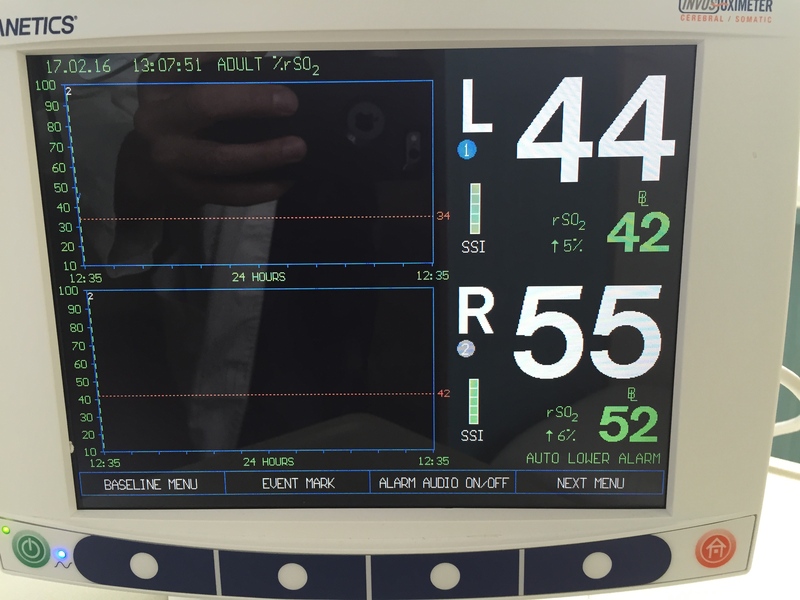 Finding the “Sweet Spot” – I think (hope) that anyone reading this with professional interest understands that pressure does not necessarily equal perfusion. With that in mind, adjusting vasopressors to a pressure makes little sense, and represents at best a guesstimate of perfusion, which is what we really are after. We can all agree, however, that a certain minimum pressure is required, but whether that is 65, 55 or 45 MAP no one can say for sure. So the way I like to use it is to establish a baseline and watch the direction of the tissue saturation with vasopressor therapy. If the saturation begins to drop off, we may have reached a point at which excessive vasoconstriction is worsening tissue perfusion, and that inflexion point may represent the upper beneficial limit of the vasopressor – this may happen to be under 60 or 65 of MAP. However, it is key to understand that this inflexion point is reflective of the current state of hemodynamics, such that a change in volume status or cardiac output, in one direction or the other, would likely change the position of this physiological point. For example, a volume depleted patient may reach a decreasing tissue saturation point at 55 MAP, but, once volume replete, may reach a higher MAP of 65 or above before a drop in saturation is seen. Conversely, a patient whose best tissue saturations were around 65 MAP who suffers an MI and sudden drop in cardiac output may now see his perfusion compromised at that same MAP, which would now be achieved with a greater vasoconstriction, less cardiac output and consequently, poorer flow… I posted a case discussion which illustrates this. Confirmation that therapeutic interventions are hemodynamically appropriate – I feel this is really important. When a patient’s life is literally on the line, and knowing that our interventions are seldom without potential nefarious side effects, it is poor medicine to be introducing a therapy without having some form of monitoring – preferably multiple – that we are headed in the right direction, or at least not making things worse. 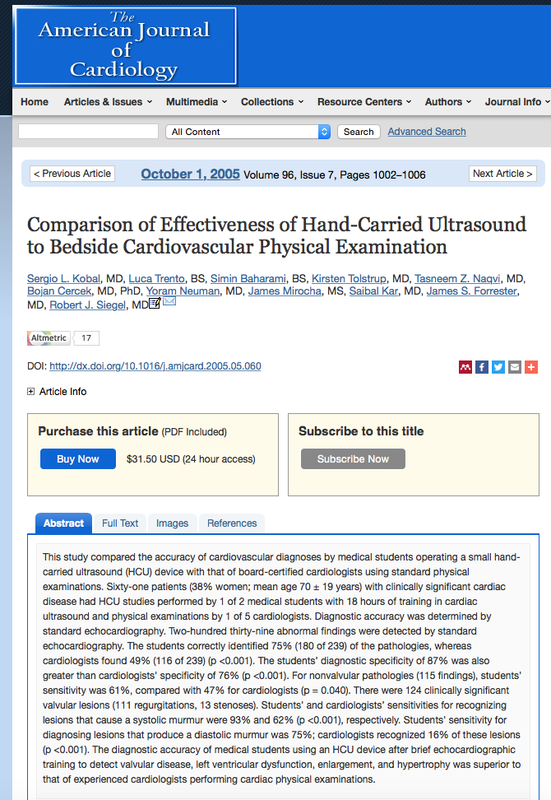 Of course, we already do this – with BP, sat, lactate, CCO, ultrasound, ETCO2 – but I think using a realtime measure of tissue saturation adds to this. It is also my firm opinion that integrated, multimodality monitoring is necessary – at least until someone develops some form of mitochondrial monitoring which tells us that the cytoenergetics are sufficient to survive. 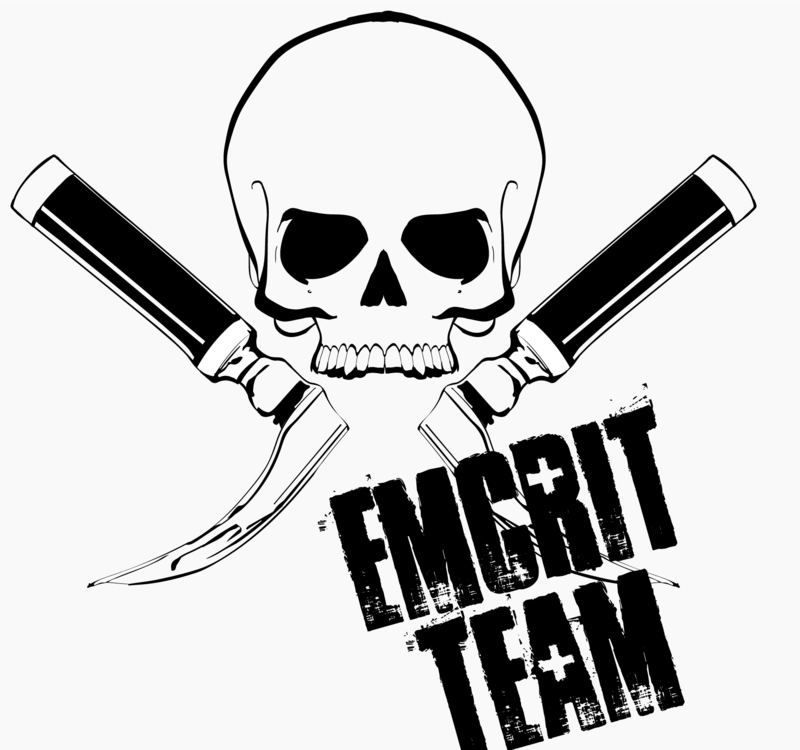 Until then we are stuck with surrogate markers and many of them (e.g. lactate) are the result of complex processes that preclude them being a simple indicator of perfusion adequacy. 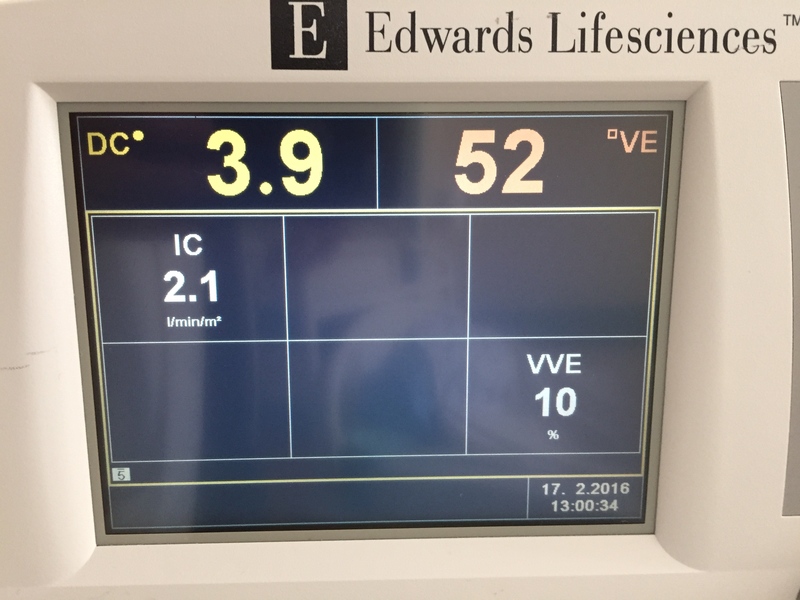 For instance, when giving a fluid bolus/infusion – after having determined that the patient is likely fluid responsive AND tolerant – one should expect to see an increase in ETCO2 (other parameters being constant), an increase in CO, an increase in NIRS values. The absence of such response should make one reconsider the intervention, because without benefit, we are left only with side effects. 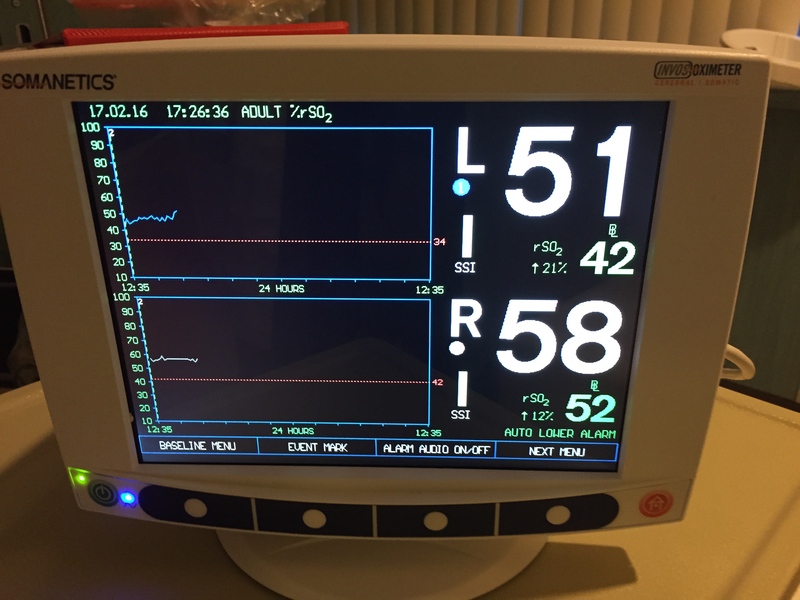 Here is a patient’s cerebral (top) and and somatic (thigh – bottom) and CO values. This patient had an RV infarct and was in shock. Given that we cannot always predict the response to an inotrope – depending on the amount of recruitable myocardium, it is reassuring to see an improving trend. 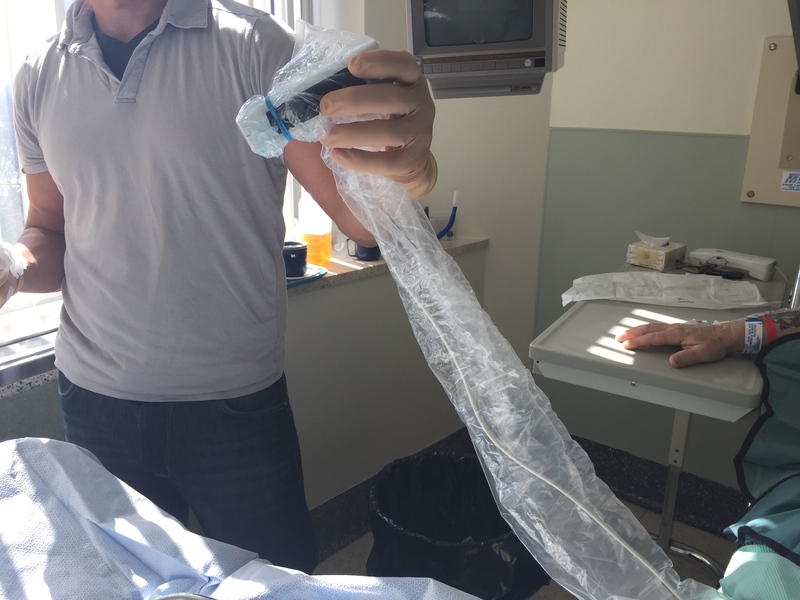 This enabled us to decrease the vasopressor dose significantly. Note that, so far, and unless some good evidence comes out, I don’t use a goal value, and so far, I have not identified a value that is predictive of prognosis. However, downward trends usually bode very poorly. For instance, I had a severe chronic cardiomyopathy patient whose cerebral saturation was 15%!!! But more surprisingly, she was awake, alert and hemodynamically stable. Adaptation. Part 2 and the stuff on cardiac arrest coming soon! Please, anyone using NIRS in shock, share your experience!